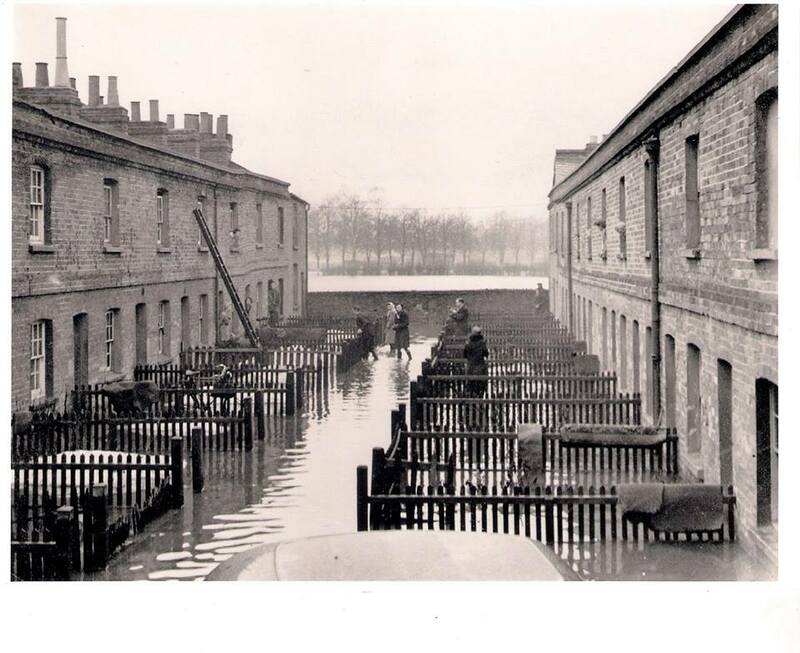 similar flooding occured in January 1915. Frederick was born in Newbury in 1896, the son of George Lawrence, Lawrance or Laurance and his wife Caroline née Knight. The spelling of their surname is interchangeable, the ‘w’ appearing more often in official records (the registered names of the children was ‘Lawrance’). However, the family’s 1911 census return was signed by George ‘Laurance’. The family was living at 15 Waterloo Place, off West Street - now demolished the site is in use as a car park. Frederick was the youngest of their four children, all boys, the others being George (born 1889), Walter (1891) and Edward (1894). As the youngest Frederick was known in the family as ‘Babe’. George senior worked as a furnaceman for a local foundry, describing himself as a ‘blast furnaceman’ in 1911; however, it is unlikely that a local firm was in the business of smelting metal from ore. As the boys grew they too entered the labour market; George junior becoming a house painter, Walter an engineering apprentice, and Edward an outfitter’s apprentice. Frederick began work as a hosier’s errand boy. A multitude of young lads worked as errand boys for the many Newbury shops, most of which offered a delivery service to their customers; after a while the lads grew and filled out and could take on adult jobs. In Frederick’s case he found work as a sausage skin maker, no doubt in the employment of a local butcher. When war was declared in August 1914 Frederick was still young, still under 19 - the official age at which soldiers could be sent to fight. This did not prevent many youngsters from enlisting but Frederick waited until late 1915 when the Minister for Recruitment, Lord Derby, introduced a new recruitment scheme, known as the Group or Derby Scheme. This was a last-gasp attempt to prevent the need to introduce conscription and worked by offering men the chance to attest for future service. Every new recruit under the scheme was allocated to a Group dependent on age and marital status - when required, Groups would be called up for service. The scheme resulted in a large surge in attestations in late 1915 including Frederick, who signed up for service with the Royal Berkshire Regiment on 11 December. The Derby Scheme was the last chance to join a regiment of the recruit’s choice; once conscription was introduced in January 1916 men went where the Army felt they were needed. As a young single man Frederick was in one of the Groups which were among the first called up on 20 January 1916. He was sent to the 3rd Battalion, Royal Berkshire Regiment for training and, when ready, was sent to France to serve at the front with the 1st Battalion. It is likely that he arrived among a draft of replacements for men lost during heavy fighting during the Battle of the Somme, where the battalion suffered heavy casualties in Delville Wood between 25 and 28 July. The Battalion was in and out of the line for the rest of the Battle of the Somme taking casualties, but not taking part in another major action until 14 November. By this date the Battalion was down to a strength of 435 men (from an establishment of a few over 1,000). It was in the trenches near Serre, at the northern end section of the front involved in the Battle of the Somme. On the 14th the battalion took part in an attack from trenches captured from the Germans and known as the “Green Line” which was in front of Vallade trench, then occupied by the battalion. Its strength was only four hundred and thirty-five other ranks, and it was assigned a broad front of eight hundred yards, with the King’s Royal Rifle Corps on its right. In support of each of the outer flanks of this line were two companies of the 23rd Royal Fusiliers. It had been intended to attack in four waves, but, owing to the width of the front, it was found necessary to reduce them to two. At 01.15 the battalion began moving forward, and at 05:00 formed up, with its leading wave fifty yards in front of Beaumont Trench. The two halves of the battalion were ordered to move by their outer flanks which were held by the brigade to be justified, though it must apparently tend to create a gap between them. As they moved across No Man’s Land, there were some casualties from machine-gun fire, and the two right companies alleged that the British barrage started short and did them some harm. They had no less than one hundred and sixteen casualties amongst one hundred and fifty-nine me who left the “Green Line.” With such heavy losses as these, it is hardly surprising to find the Battalion diary saying that, by the time the right half-battalion reached the German trenches, it had not enough men to cope with the enemy there. The remains worked partly towards the directing right flank, and partly leftwards to keep in touch with the left half-battalion so that the anticipated gap formed in the centre of the right half-battalion instead of between the two halves. Only ten or fifteen men of the leading wave of the right half reached Munich Trench, their objective. These, led by Second-Lieutenants Astley and Stoneham, forced their way through the German wire and into the trench. Second-Lieutenant Stoneham and some of the men were killed. Second-Lieutenant Astley saw some Germans on the fire-step holding up their hands. Leaving two men to guard them, he went southwards along the trench in search of his comrades, but finding none, returned to his men. The British barrage had now lifted and Germans issuing from dug-outs commenced bombing and shooting. Astley thereupon got out of the trench, collected some twenty men of his (2nd) wave, who were twenty or thirty yards in rear, and proposed going on again. At this moment about fifty Germans with hands up emerged from Munich Trench and were handed over to the King’s Royal Rifle Corps. Not long after this many Germans got on to the fire-step and, moving down Crater Lane on the right, took the right company in flank as well as front. The position being untenable, the Berkshire men retired back into Crater Lane, which they blocked. Of the right half-battalion, the company on the right had all its officers killed, the other had three out of four wounded. Meanwhile, the left half-battalion had moved forward with its left on Lager Alley. This having been almost obliterated and being untenable, they moved northwards on Serre Trench, which they afterwards handed over to the 14th Brigade which relieved them. This trench also was much battered, but in it were found and recaptured one officer and eleven men of the King’s Liverpool, all wounded. Of Germans, a medical officer and about thirty-five men were taken, with a trench mortar and a machine gun. Shortly after this many men were seen moving N.E. from the German work known as the Quadrilateral, and fire was opened on them. It was stopped under the impression that they might be British, but it is certain that they were Germans evacuating the trenches, owing to the works on their south and east flanks having been taken. Serre Trench was of great value, on account of its command. The Royal Berkshire lost cruelly. The casualty list gave Officers, 2 killed, 3 wounded, and 1 missing. Other Ranks, 29 killed, 106 wounded, 62 missing; altogether 204 out of an initial strength of 435. Officers’ names were not given in either the Battalion or the Brigade Diary, except in the case of Second-Lieutenant Stoneham. The only other name we can trace is that of Second-Lieutenant Frank Clifford James who was captured and died of wounds as a pow on 4/5/17. Frederick was among those who fell, alongside two other lads from Newbury – Ernie Ballard and Reg Swatton. 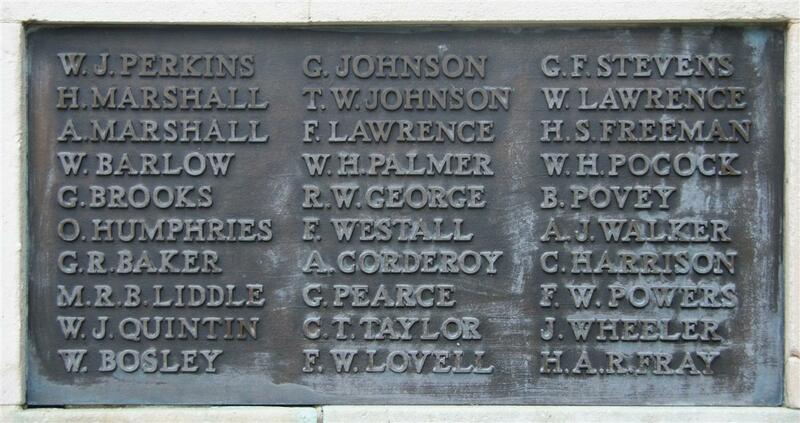 LAWRENCE – Killed in action 14th November, Pte F Lawrence (Babe), L M Gun Section, Royal Berks Regt, aged 20. Pte F Lawrence, of the Royal Berks, who was killed on November 13th, whilst attacking a German trench, was the youngest son of Mr and Mrs Lawrence, of West-street, Newbury. He enlisted at the beginning of the year, and went to the Front in the early part of June. His eldest brother, Sapper G Lawrence, is serving in the Royal Engineers. Pte E Lawrence, of the Royal Berks is lying seriously ill from wounds received on July 2nd. He is at the Welsh Metropolitan Hospital, Cardiff. These were nephews of the late Company-Sergeant-Major Walter Lawrence, 1/4th Royal Berks, killed in February last. Frederick’s body was never identified; his name is remembered on the immense memorial to the missing on the Somme at Thiepval. Locally he is commemorated on Tablet 5 of Newbury Town War Memorial; he is also remembered on the roll of honour and memorial board in St Nicolas’ Church, Newbury. All three memorials use the spelling ‘Lawrence’, but the order of service for the unveiling and dedication ceremony for the town memorial includes a list of the names on the memorial. In this document it is F Lawrance that appears on tablet 5. The original tablets were of carved stone which weathered rather quickly; this resulted in their replacement by the current bronze tablets in 1950 at the time the WW2 fallen were added to the memorial. Several names were misread resulting in a number of changes, prossibly including ‘Lawrance’ to ‘Lawrence’. If so this is probably the only change that corrected an error rather than introduce one. 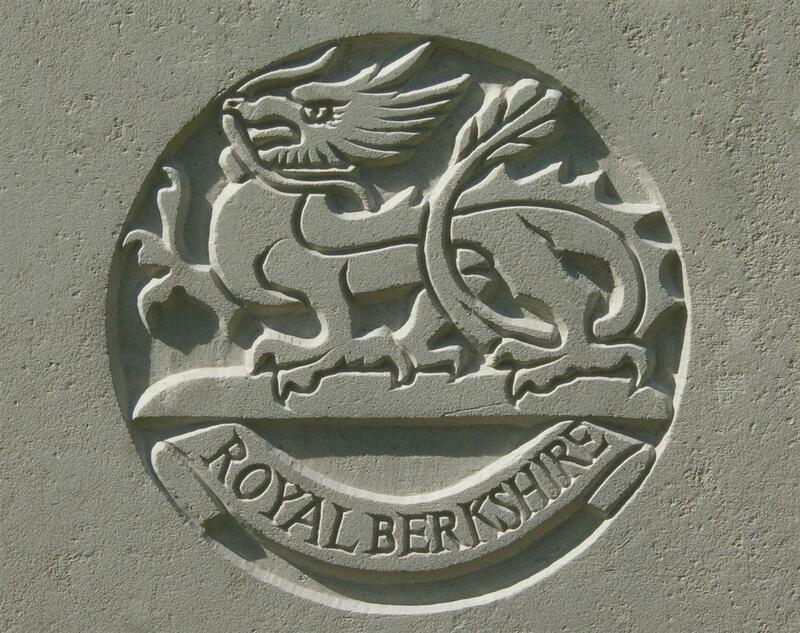 In loving remembrance of Pte Frederick Lawrence (Babe), 1st Royal Berks Regt, son of Mr and Mrs Lawrence, 1 West-street, killed before Beaumont Hamel, November 13 1916, aged 20. – He saw his duty, and did it even unto death.